NIKON AI-S NIKKOR 35MM F2.8 WIDE ANGLE LENS. This uncommon Nikon wide lens is in great condition and is in full working order. Get In Touch. Used In Excellent Condition Throughout. The Only Signs Of Use Are Where The Lens Hood Attaches. The Body Of The Lens & Glass Are In Really Excellent Condition With No Visible Marks. ( Apart From Where The Lens Hood Attaches ). New listingCanon FD 50mm F1.4 Near mint. CANON FD 20MM F2.8 CANON FD MOUNT ULTRA WIDE LENS NOT EF/EOS . 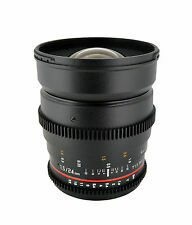 This highly regarded Canon FD mount manual focus wide lens is in excellent condition and is in full working order. The focus is free and smooth. Here I have a Canon EF-S 18-135mm f/3.5-5.6 IS STM Zoom Lens with Hoya Pro1 Digital MC UV(0) filter. This lens is in very good, fully working condition. Canon Extender EF 2x. Extender EF 2x Compatibility Chart. EF 135mm f/2L USM. EF 180mm f/3.5L Macro USM. EF 200mm f/1.8L USM. EF 200mm f/2L IS USM. EF 200mm f/2.8L II USM. EF 300mm f/2.8L IS USM. Tamron 28-300mm XR Di for Sony A-Mount. Condition is Used. Dispatched with Royal Mail 2nd Class. Very good condition. Complete with a protective 62mm UV filter, hood and elasticated lens cap strap, end caps top and bottom. Item Condition: This lens is in excellent condition. Few points to note: 1.The cosmetics condition of the lens is in excellent condition. There are no visible wears but only minimal signs of use on the lens barrel. 2. The glass is perfect. No Haze. No Scratches. 3. 100% Function properly. Item(s) included: 1pcs x Silver Olympus M.ZUIKO DIGITAL 17mm F1.8(It comes with Original Front cap and Rear cap) Brand olympus MPN V311050BU000 EAN 0 050332 185814. Perfect for all EOS Canon Digital and Film SLRs and will fit all models-. This high quality zoom lens features multi-coated optics, 58mm front filter size. These are very Unique and Rare Lens. Very good condition,The Lens has no marks or scratches on it. NIKON AI NIKKOR 35MM F2 WIDE ANGLE LENS. This uncommon Nikon wide lens is in good condition and is in full working order. The lens shows signs of use to the body as per the images. The focus is free and smooth. Canon EF 50mm f/1.8 STM. The EF 50mm f/1.8 STM blurs the background behind your subject so they really stand out. The EF 50mm f/1.8 STM lets in lots of light, so you can keep shooting even when conditions begin to get dark. Models derived from those (e.g. D300/D300s, D3/D3x, etc.) also have AF motors. Nikon HB-26 Lens Hood. Box (Original Nikon or new black box). New listingused Black OLYMPUS 45mm f1.8 lens. This lens is in good condition throughout. 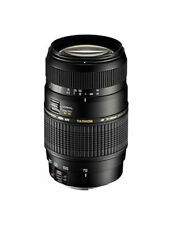 This is the Tamron 70-300mm F4-5.6 LD DI Macro Zoom Lens. Auto and Manual focus. There is a fault with the zoom part of the lens. The zoom barrel does not work as it should - when you twist the zoom, the lens should move in / out as the lens zooms. Focus and aperture rings operate smoothly and freely. Optics are mint otherwise, aperture blades clean and snappy. 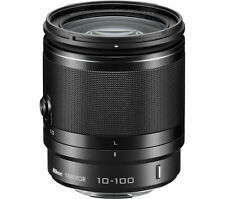 Wonderful lens for a bargain price! Lens is in good condition, there is a few marks on the barrel but the glass is free from scratches or fungus. The lens hood does have a crack but it still fits and works as it should. The lens shows light signs of use as per the images. The focus is free and smooth. The aperture blades are clean, oil free and very snappy. The internals are haze, dust and fungus free. Nikon AF Nikkor 28mm 1:2.8 Lens NICE WORKING. You will get Focus confirmation. Film or digital. Dont expect to see crystal clear optics if you shine a torch through an old lens! Keep your kit dry. For sale is this excellent condition Mamiya Sekor 135mm portrait lens. See sample night image. The item is used but well looked after. Optics are clear from marks and scratches etc. Dispatched with Royal Mail 2nd Class. Very good condition. Clear, unmarked optics. 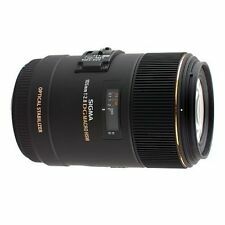 Sigma 18-300mm f/3.5-6.3 DC MACRO OS HSM Contemporary Lens for Canon EF. Only 18 months old with limited use this is a brilliant travel lens for Canon crop sensor cameras - 80d etc. Only selling as have moved to full frame. Great as a one lens solution with superb optics & an amazing focal range for the size. Although used, its pretty much in mint condition, no marks or scratches etc. Boxed with original packaging, lens hood, lens caps. Now close to £400 new. The Olympus 12-40mm f2.8 M.ZUIKO PRO lens features a weather-proof construction and bright f2.8 aperture throughout the entire zoom range. From wide-angle to mid-zoom, this lens is suitable for everything from landscapes, group shots, night scenes, portraiture and general purpose photography. Canon EF EOS fit Sigma AF 28-300mm Macro zoom F3.5-6.3. If you only want to go out w ith one lens then this is the ideal choice. Very good condition. Glass free of scratches. This is the third version of the extender (Mark 3). Tamron adaptall SP 300mm f5.6 54B, good tested, case, extras. All dslr's. The adaptall system allows you to swap the mount of this lens. Tamron adaptall-2 SP 300mm f5.6 54B. Tamron SP 300mm F/5.6 Model 54B: A very good fixed focal length lens with excellent macro capabilities. Boxed and with all accessories. Item is in excellent condition. Vivitar (made by Kino/Kiron) Series 1 70-210mm zoom lens, fast f3.5 aperture, excellent condition with really clear glass. I have had this lens from new and it is In mint condition. It is boxed with its original paperwork. Optically, the lens is excellent, as is the image stabilisation. ADAPTALL CUSTOM MOUNT - NOT INCLUDED. WHAT YOU SEE IN THE IMAGES IS WHAT YOU GET. My sigma 30mm 1.4 in as new condition with dock included to update and calibrate the lens to your camera. This is a beautiful lens and when calibrated to your camera with the dock it is pin sharp every time. Selling this, a camera and other lenses as I have decided to commit to mirrorless. Fuji Fujinon XF 18-55mm F/2.8-4.0 OIS R Lens. Condition is Used. The lens is in perfect working condition. It comes with a uv filter. It has 2 very small scratches to front element but they 100% do not appear on photos. Done long exposure shots. at any F stops and nothing appears. Rear mount has no imperfection has it hasnt been used much. No dust behind front and back elements. The rear focusing system, high-speed CPU, and an enhanced AF algorithm also contribute to quickened overall AF speeds. STM AF Stepping Motor. Optimized lens coatings have also been applied to ensure color fidelity by countering the effects of lens flare and ghosting. Canon front lens cap. - Canon rear lens cap. Tamron Adaptall-2 135mm f2.5 03B, vgc, tested. All dslr's. Easily adaptable to Canon dslr with a clone EOS to adaptall mount. Or use eg original M42 mount M42 to Canon adapter. Tamron Adaptall-2 135mm f2.5 03B. Externally shows just a few signs of use. Optics are clear - not the slightest trace of fungus or haze (all older lenses can have a few specks of dust). Condition is Used. optics are clear no marks no fungus and no dust. 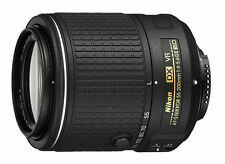 Nikon AF-S 18-55mm DX VRII Zoom Lens. Condition is Used, lens is in very good condition, no scratches, no fungus on the glass, blades all intact, movement is smooth, has been a good little kit lens for my D300, comes with a Hoya UV filter, any questions please ask. Olympus 40-150mm f2.8 PRO lens in excellent condition. Tripod mount. Specialising in photographic lens filters. In great condition, only minor signs of use. Nikon TC-14E 1.4x extender mark 1. Add a new camera lens to your photography equipment to expand your artistic capabilities. Whether you love shooting portraits in a specialist studio, or getting outside and taking pictures of nature, you're sure to find the perfect camera lens for you here on eBay. Prime or fixed lenses offer a fixed focal lens, meaning you can't zoom in or out. These types of lenses are a fantastic all rounder, as they tend to work for all types of photography, from street snaps to capturing memorable wedding moments. These lenses are lightweight for easy transportation, and are often effective in low light conditions, making it easy to get that perfect shot at any time. Fixed lenses are also known for their sharp detail and high quality photos, so they are an essential addition to anyone's photography kit. For a really versatile addition to your photography equipment, try out a zoom lens on your camera. These camera lenses offer a wide focal range, meaning you can zoom in and out with precision until you achieve the perfect shot. There are a few different zoom lenses with different focal ranges, such as the popular 70mm 200mm lens. Great for portraits, events and wildlife photography, this type of lens allows you to stay in one place while zooming really far in to capture moments you may have missed with another lens. Alongside fixed and zoom lenses, you'll also find other lens types on offer. 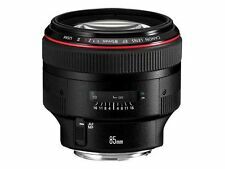 From ultra wide fisheye lenses that let you create panoramic shots to macro lenses that pick out even the smallest details for really sharp photos, you're sure to find the right lens for you. You'll find camera lenses from tried and trusted brands such as Canon, Nikon, Sigma and Sony, but make sure that the lens you go for will fit your camera model. Some lenses even come with an accessory kit to really help you get the most out of your new equipment.